Great blog mate. 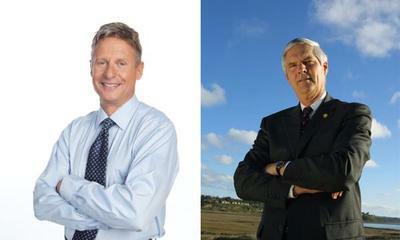 I must admit that Gary Johnson is a good candidate that needs some more representation. I think the media certainly plays a massive part in retaining the current two-party system. Do you not think though that a lot of American libertarians vote for Republican because they have libs likes Ron Paul in whom have that media spotlight? It might be because of Ron Paul but the Republican Party of today is controlled by the Tea Party instead of its more Libertarian or moderate wing. I think the Republican Party of old was more in line with traditional Libertarian views, but it no longer is. Rather than vote Republican because some of the candidates are more like Libertarians, why not just vote for the actual Libertarian candidate? I think the Libertarian and Green parties would make a good third and fourth party to help keep things centered and everyone working together.